According to engineers attached to the Ceylon Electricity Board, the country will lose Rs.75 billion within a span of 20 years if the tender was awarded to a higher bidder. According to reports the tender was awarded violating the due procedures to be followed in such cases. 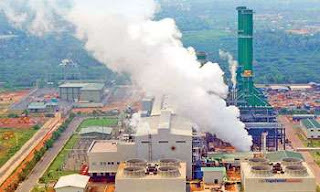 Earlier, the government was keen to award the contract to a Chinese company for setting up such a plant in Hambantota. Power and Energy Minister Ravi Karunanayake obtained Cabinet approval for this project.